A few minutes after my husband and I emerged from the sonographer’s room holding the twins’ first scan picture in our shaking hands, the full implications of what lay before us hit me. It was a sobering moment. Or at least it seemed like one – we hadn’t yet twigged that we’d also need a new car and a new house. Until this point, my attitude to parents wielding double buggies had been an unattractive mix of smug revulsion. I admit it, I pitied them. Running over peoples’ feet, jamming themselves in supermarket aisles; frankly, taking up too much space. The possibility that I would one day join their harassed ranks had never crossed my mind. For about four minutes we toyed with a single buggy plus sling scenario, but even in our shocked state we were forced to face up to the fact that with a toddler to contain as well as the twins, this was simply not an option. Worse, we realized that once we’d secured our whopper we’d have to add a buggy board for said toddler. A traveling circus would get around less conspicuously. That was October. In February we were standing in a hangar containing our pushchair of choice – the Mountain Buggy Double Urban. We gingerly pushed it around, sending display items crashing in all directions, although pleasantly surprised at how easy it was to manoeuvre, albeit into other things. The sales lady “collapsed” it and stood back triumphantly. The buggy was approximately two centimetres lower, but apparently no smaller. Compact it was not. Half an hour later, pockets lighter, boot considerably lower, the buggy was ours. Life with twins had begun. 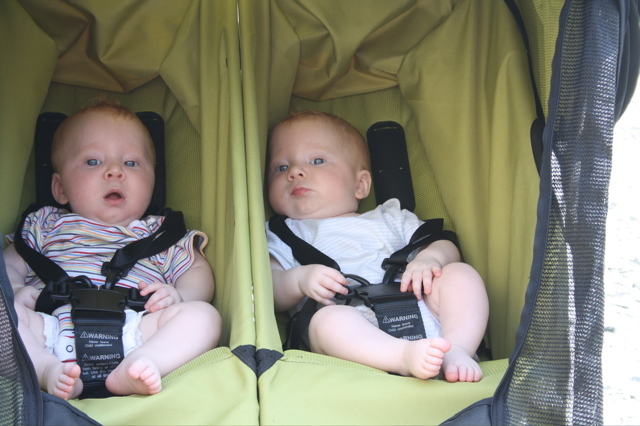 It is fair to say that over the intervening four years, the buggy has attracted almost as much attention as the twins. I have, of course, come to love our buggy and bridle on its behalf when people carp on about its size or shove their feet under its wheels. 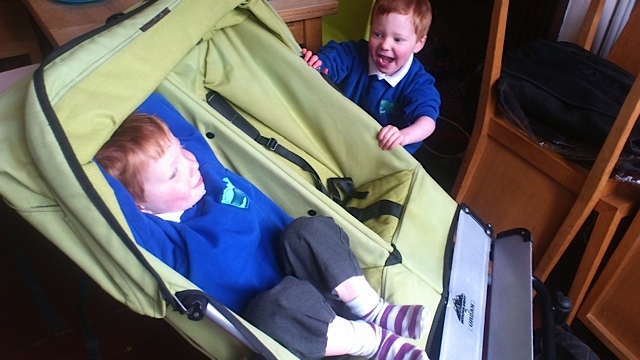 It is loads easier to push than the Maclaren I used for our first son, and having surrendered our house to a mountain of toys, highchairs and plastic feeding bowls some years ago, what difference did a buggy blocking the front hall for three years really make? The last six months have seen the buggy and I gradually separate. Nervously, I left it at home for the school run. My twins, Alec and Kit, are not known for their co-operation on this hellish journey. Prizing a stubborn Alec off the pavement while Kit sprints into the distance is not an uncommon occurrence. Without the buggy to threaten them with, how would I manhandle two three-year-olds to the school gate? In short, slowly and with much whining and cajoling from all sides. However, as much as the double buggy enhanced our lives when Alec and Kit were smaller, I cannot describe the joy at finally being liberated from it. Suddenly, interest in us was reduced by about 90 per cent. Nobody noticed us, or felt the need to comment on us, to us or about us. At last, Alec and Kit were just like any other little boys. So, with Alec and Kit’s fourth birthday over, it was time to make our separation permanent. The buggy was brought out from the garage one last time. 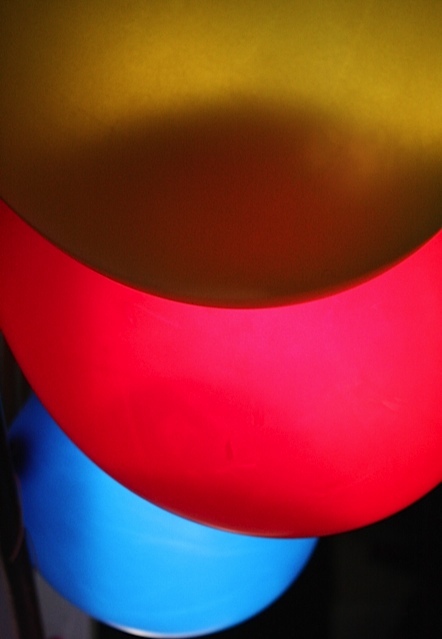 It emerged gleaming and pretty much unrecognizable from the only deep clean it has ever had – my children had been happily nestling in filth for years, I discovered. The boys and I looked at all the old photos of them as babies in the buggy before they clambered, giggling, into it again for a final picture. They stood waving as I drove it off to my local twins club sale. The end of an era. Four hours later I was home. With the unsold buggy. Breakfast is served. By which I mean three bowls are dumped on the table, sometimes accompanied by spoons. Loud references are made up the stairs to time, school and hurrying up. This is repeated. Damn, my belt-tightening trip to Aldi has been busted. Harry, six, eyes his “cheerios” with suspicion. “They look like dog biscuits,” he says, before shoveling in a large spoonful. Kit, three, is working through his breakfast checklist. Critical factors include colour of bowl, position of banana in relation to Weetabix and volume of milk up the side of said Weetabix. A nervous pause. His lower lip is unjutted. Eating commences. His twin, Alec, arrives head first down the stairs bellowing “hot milk!”, before clambering up onto his chair and falling off the other side. The other two roar with laughter sending Alec into a fury. “Harry’s a wee wee poo poo head”, he explodes, unleashing the worst insult from his thankfully limited arsenal. “Fart bum!”, replies his brother. “That’s enough”, I mouth, inaudible above the exchange of toilet dredging. Alec leaps down off his chair and aims a punch that lands on Harry’s knee. Harry swiftly returns one to his ear. “That’s enough,” I repeat, aware that the volume has exceeded the recommended level for good parenting. Quiet is temporarily restored. Alec returns to his chair rubbing his ear. Harry belatedly remembers to say ‘ouch’ and looks smug. I pretend I can’t hear the hissed ‘fart bums’ ricocheting across the table. My husband comes in with his coffee, having abandoned his attempts to listen to the radio in the kitchen. Alec rubs his ear again hopefully, this time with his Weetabix-coated spoon which drips a trail of slime down his nursery sweatshirt. “Daddy’s the lemon!” he shouts, triggering the daily scramble to avoid being the last to finish. Kit begins whimpering at the mere thought of being today’s victim. Harry is already down from the table and riding round the room on a fire engine designed for an 18-month-old. It is our most popular toy. Inexplicably its batteries are still in full working order. We finish our breakfasts to the sound of sirens wailing, accompanied by the odd ankle shunt. In other words, in relative peace.